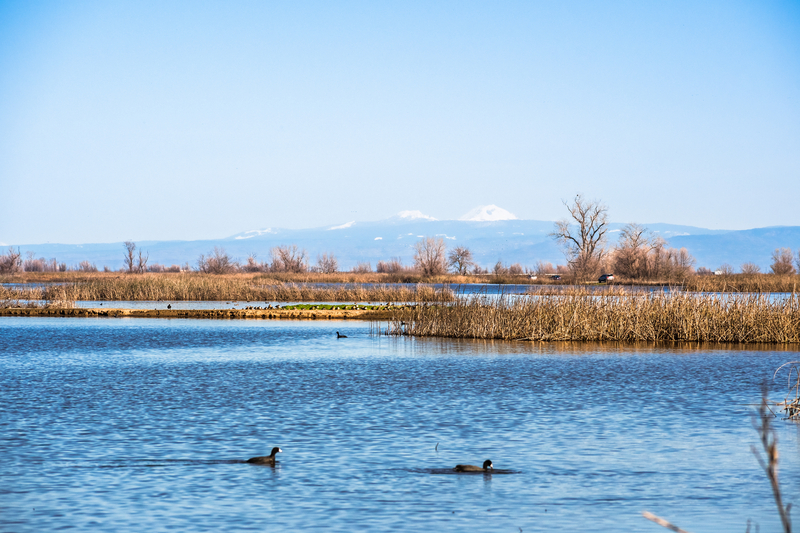 90 miles north of Sacramento and 20 miles north of our hotel in Williams, Sacramento Wildlife Refuge is a nature and bird lover’s dream. Open daily, this wildlife refuge is a serene setting inhabited by birds and smaller animals. The pools of water and nature in this protected preserve is a frequent stopover along the Pacific Flyway. Great flocks of waterfowl, shorebirds, waterbirds, songbirds, and more pass through the 70,000 acres. For a quick visit, drive the auto tour through the refuge, which begins at the visitor center. Stay in your car and drive through the refuge without disturbing the wildlife, and get out in the designated zones. See the full route here. The Visitor Center is a hub of information. Stop by to pick up a map, brochure or programs, and explore the exhibits and book store. If you don’t have your own birding equipment, the complex lends binoculars and field guides. It is open throughout the year, every day of the week during the winter and throughout the work week the rest of the year. 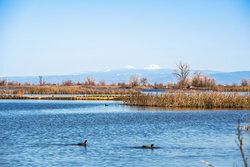 The Sacramento Wildlife Refuge has a mile long walk which begins at the visitor center near the start of the auto route. Get out and stretch your legs, connect with nature, and enjoy the crisp open air. Pick up a birding guide at the visitor center to stop at all the birding hotspots. 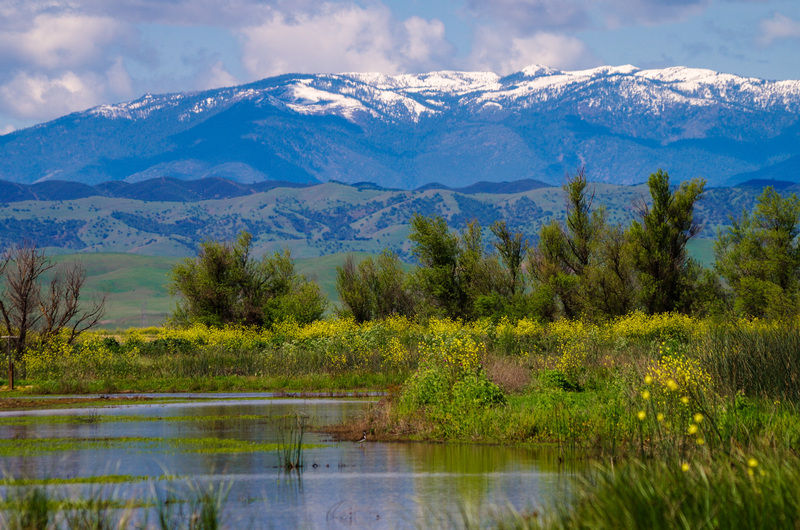 Parts of the Sacramento Wildlife Refuge and Colusa County Wildlife Refuge can be used to hunt waterfowl and upland game birds. 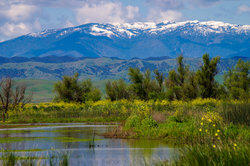 Big game hunting is only accepted at the Sacramento River National Wildlife Refuge, a portion of the parks north of Colusa. Our hotel is close to some of the best public hunting areas anywhere. During hunting season, the refuges are open to hunters on Wednesdays, Saturdays, and Sundays. 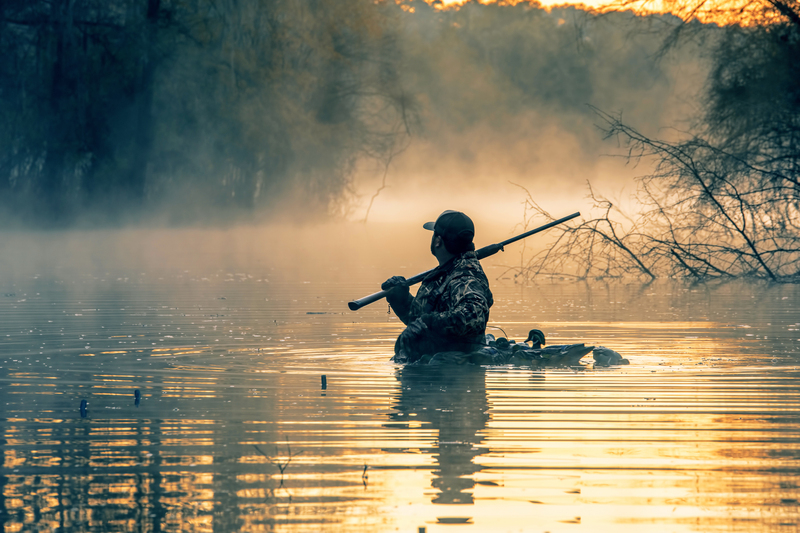 Hunting is monitored and overseen by the US Fish & Wildlife Service to ensure a natural balance and wildlife management. Specific permits, fees, and regulations apply. Read more here. Hike, Hunt, Birdwatch, and more! Our hotel is close to some of the best public hunting areas anywhere. During hunting season, the refuges are open to hunters on Wednesdays, Saturdays, and Sundays. Hunting is monitored and overseen by the US Fish & Wildlife Service to ensure a natural balance and wildlife management. Specific permits, fees, and regulations apply.